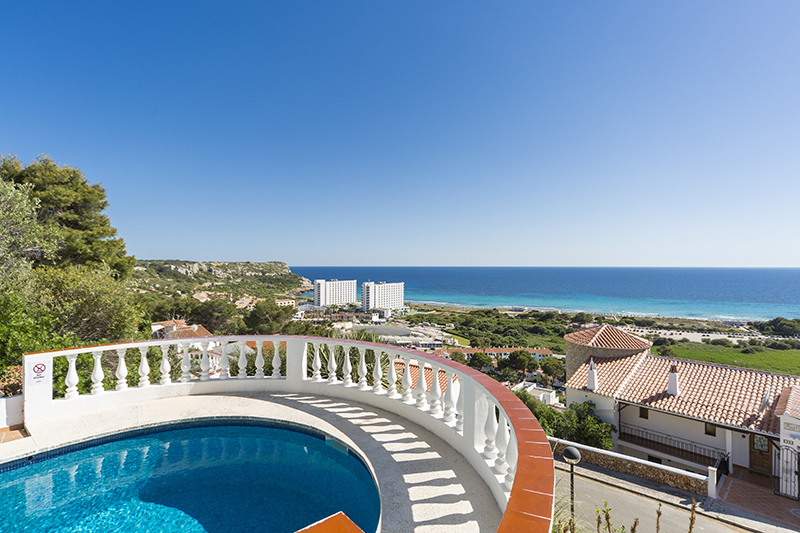 The best views from Son Bou. 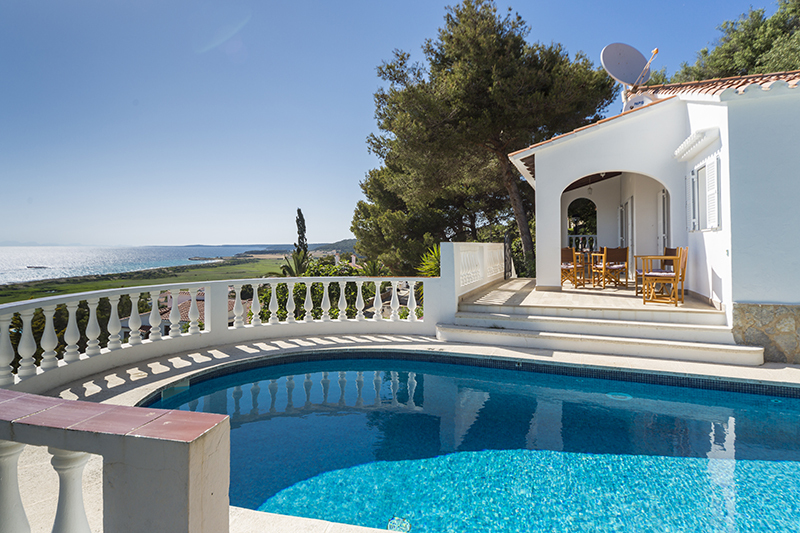 Outstanding Villa with spectacular sea views. Ideal for Families: 5 bedrooms and 5 bathrooms. Located on a very quiet road, it is a pleasure to enjoy the sunsets. Fantastic Swimming pool with impressive botanic garden. The Villa has two floors and the access is from the road through an stairs. 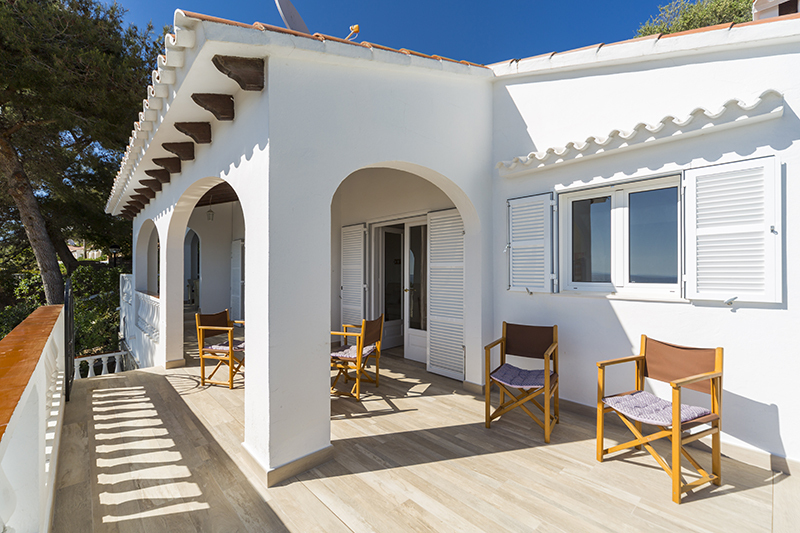 The Villa keeps a menorquin style structure and the interior is refurbished. The Villa has air conditioning on the first floor. Two storey Villa, built on two floors. The distribution of the ground floor is the living room with a practice kitchen and the dining room. 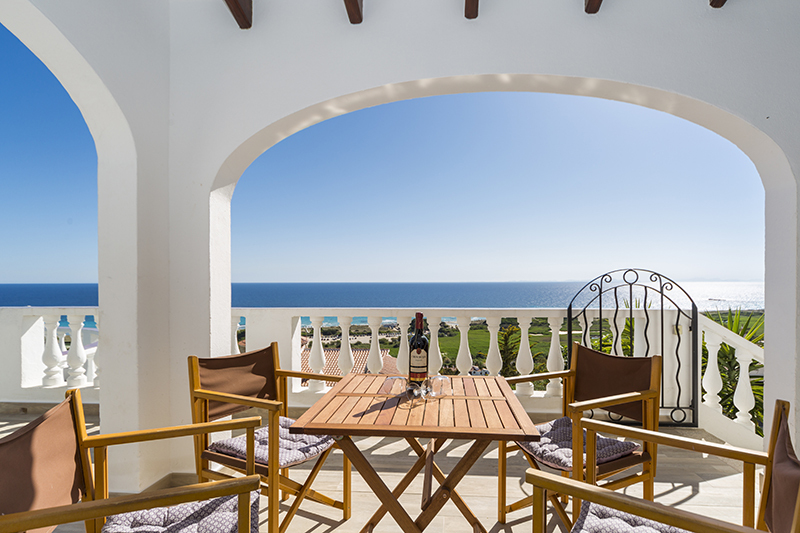 From the living room, you have access to the exterior terrace decorated with quality furniture to enjoy the sunsets. 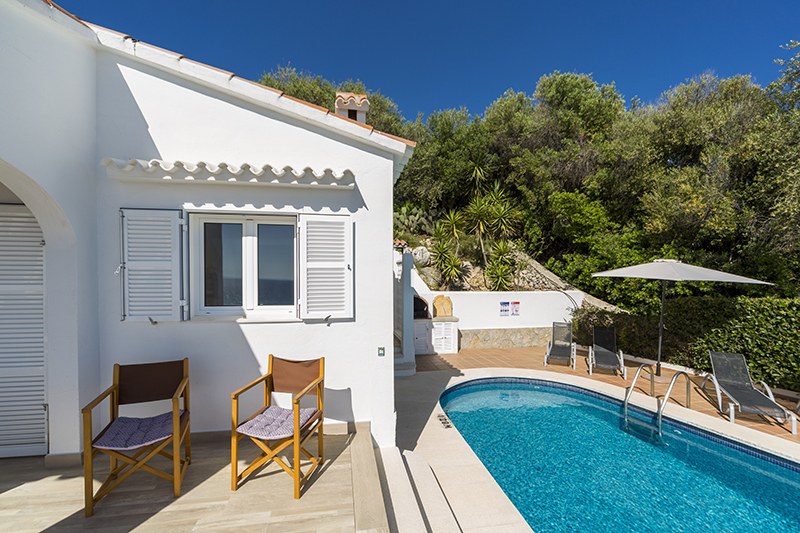 From the terrace you have access to the pool and the BBQ area, stunning corner with a pergola with an stone table and stone benches. Ideal for enjoying a barbecue in an excellent atmosphere. From the living room, you have access to the 3 bedrooms of the ground floor. One of them with bathroom en suite. 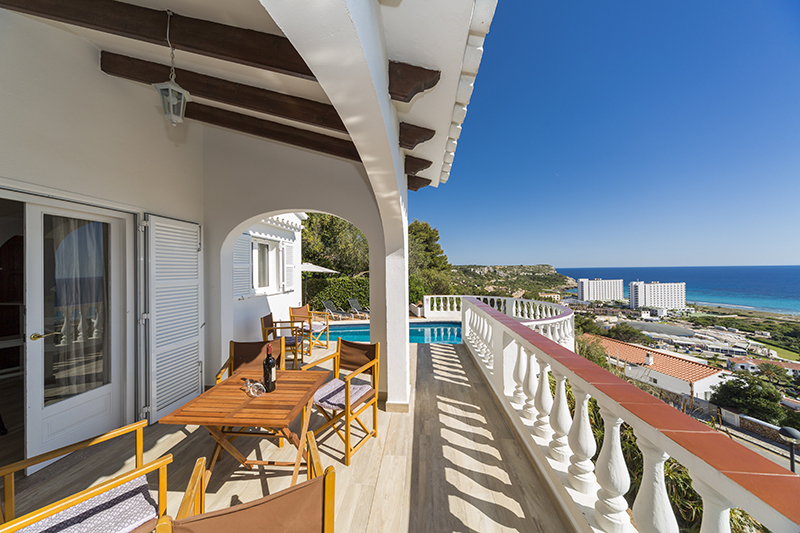 On the first floor we find two bedrooms with fantastic sea views. Each bedrooms has a bathroom en suite. One of them gives access to a covered terrace. 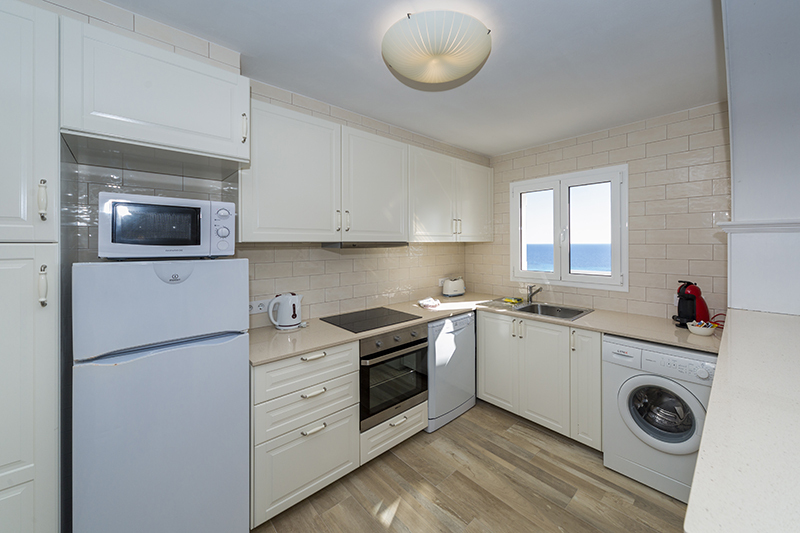 There are two bedrooms on each floor, on the ground floor there are two double bedrooms, one with a bathroom with shower ensuite, and one independent bathroom with shower. 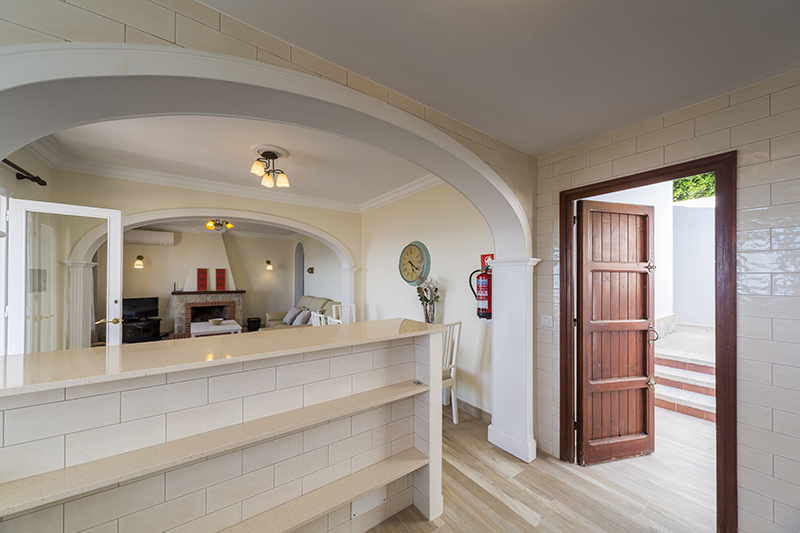 On the upper floor, there is a master suite with double bed, a dressing area, a hydro massage shower unit and bathroom and access to the terrace. 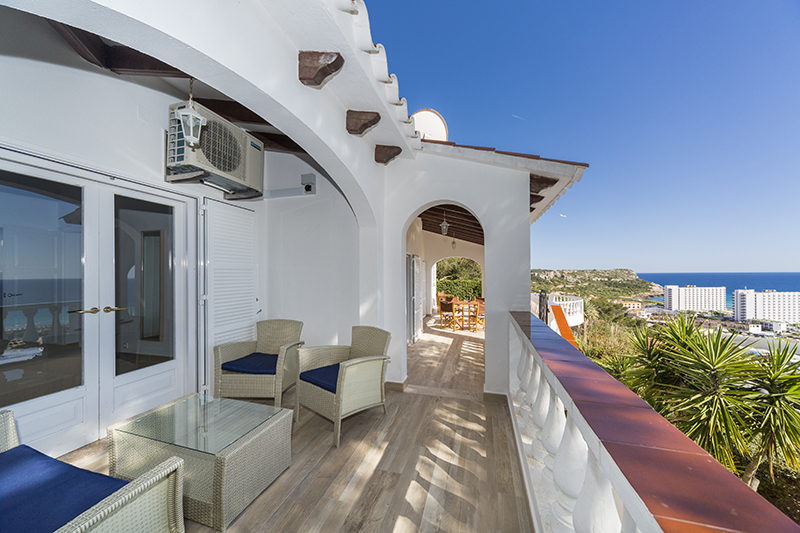 The second bedroom suite with private bathroom also has access to the terrace.